Provides educational outreach programs that celebrate the diversity of religious experience in Lorain County. Sponsors a variety of informational programs including church tours, fine arts performances, gallery exhibitions, and special educational offerings which highlight Lorain Count’s distinctive religious and cultural heritage. Brings together school districts, governments, nonprofit organizations and the area’s faith-based organizations on common ground to document, preserve, and showcase Lorain County’s sacred landmarks. Is funded by grants from the Lorain County Community College Foundation, the Community Foundation of Greater Lorain County and the Maxine Goodman Levin College of Urban Affairs at Cleveland State University. Generous support is also provided by the Arts and Humanities Division. 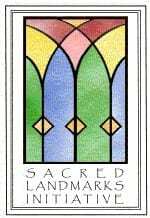 Research and document the history, institutional memory, architecture, aesthetic features and current uses of sacred landmarks in Lorain County. Provide educational programming regarding the origins and histories of local churches and synagogues as well as the richness and diversity of Lorain County’s ecclesiastical art and architecture. Promote cooperation and collaboration among Lorain County’s citizens to work across boundaries and to engage people from varying fields of interest. Foster economic growth and development through tourism, outreach programs and a variety of print and electronic publications. For more information about the Lorain County Sacred Landmarks initiative, call (800) 995-5222, ext. 4590 or e-mail sli@lorainccc.edu. For a directory of Lorain County houses of worship, see the complete listing at http://www.loraincounty.com/churches.